The excitement over Apple’s new mega-campus in Silicon Valley continues to build. First, we got an aerial drones-eye-view of the under-construction Apple Campus 2 in Cupertino, California (check it out after the jump!). 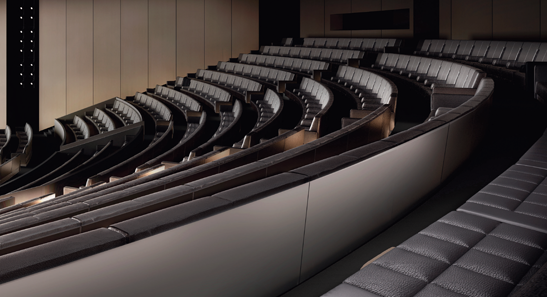 And now, we get to see the corporate auditorium where the company will show off its new products once complete in 2016. Renderings released by the Contract Division of Poltrona Frau Group (PFG Contract) depict Foster + Partner’s theater. PFG Contract will supply and install 660 custom chairs and 250 lounge armchairs. 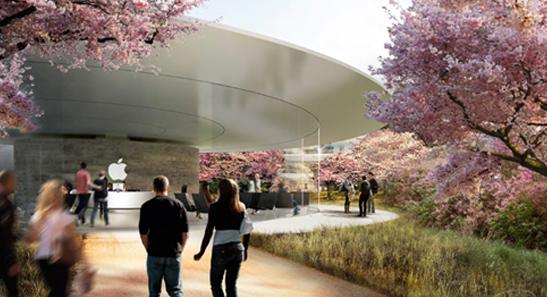 A grass walkway will lead visitors and employees to a glass pavilion marked by a saucer-shaped roof, making way to the underground stage. Forbes reported there will be a secret subterranean passage to the auditorium, allowing speakers or other employees to move between the 4-story main building and the stage privately, away from the press and other visitors. Auditorium completion is expected by spring/summer 2016. 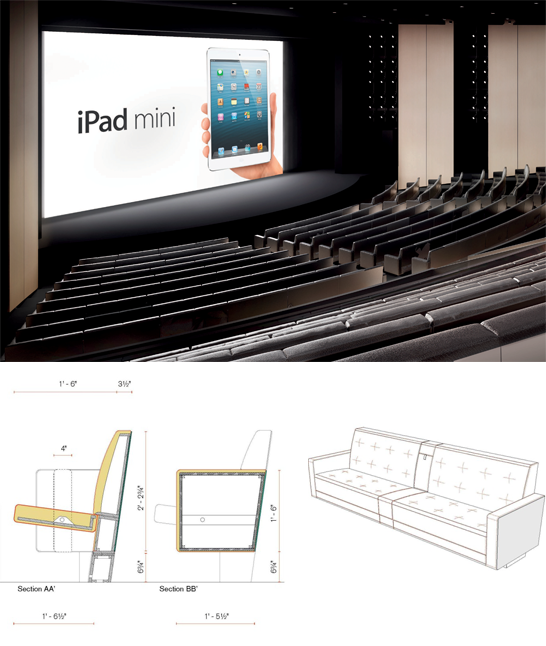 In 2007 PFG Contract worked with the Apple Design Team to create seating for theater spaces in Apple retail sites worldwide. The company’s first commission was for armchairs for the ocean liner, Rex, in the 1930s, and they moved into designing seating systems for theaters and auditoriums in the 1980s. This past February, Dezeen reported that furniture company Haworth had bought PFG Contract. 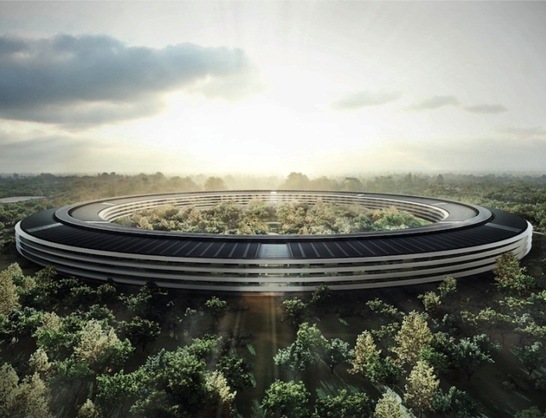 The 2.8 million square feet circular extension of Apple’s headquarters, led by Foster + Partners, will sit in an over-100-acre forest designed by landscape architecture firm OLIN. Apple’s forest will be an orchard of sorts, able to supply its own food, with plum, apple, cherry, persimmon, and apricot trees on site. The new campus will hold 13,000 employees, with an underground auditorium built during the first phase of construction.